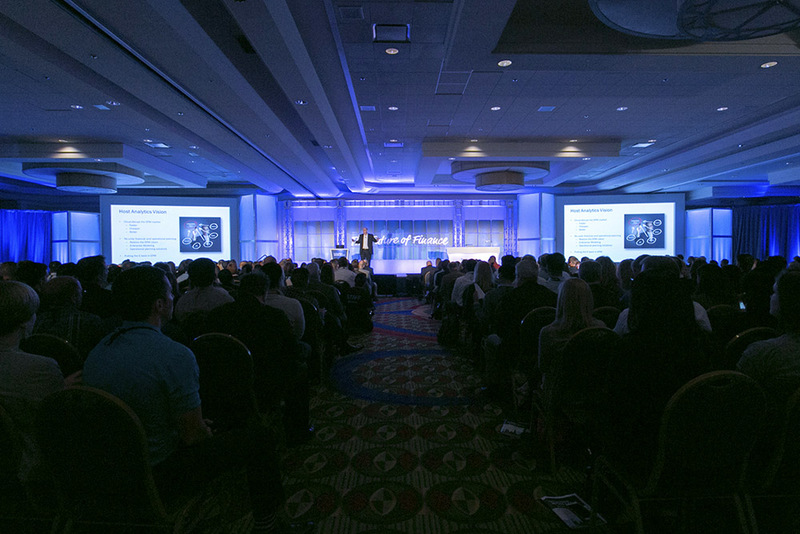 Host Analytics World 2015 — John Murray Productions, Inc. Host Analytics, the leader in cloud-based financial applications, held their annual Host Analytics World conference at the SFO Marriott in Burlingame, and JMP partnered with Seamless Show Productions to design and produce the scenic environment for this year's event. The set for the general sessions consisted of a 35' wide truss arch, rigged with a combo of our translucent 2x2 tile set and custom printed tiles with the conference's logo and theme, The Future of Finance. The stage was flanked by our glo wall columns and two 9'x16' screens with hard surrounds, and finished with an upstage, up-lit cyclorama. 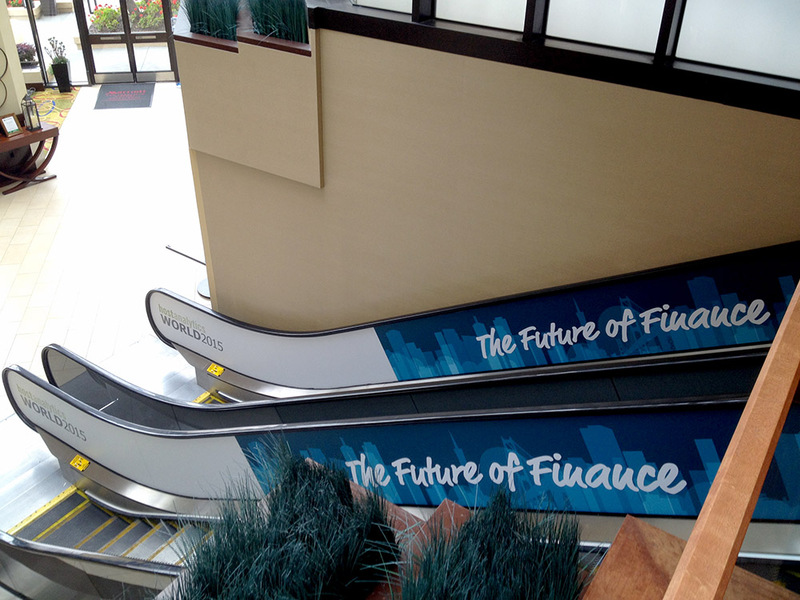 The look and feel continued into the ballroom foyer where we installed window graphics, branded the registration area, and wrapped the escalator with vinyl graphics, resulting in a consistent brand image throughout the hotel.